Simon & Schuster Books for Young Readers, 9781442435001, 464pp. "Matson’s characters feel like familiar, comforting friends.... It’s a sweet, leisurely read with a title that, thanks to Kelly Clarkson, begs to be shouted out loud." "A winning blend of touching moments, memorable characters and situational humor takes readers to a surprising revelation at the story’s end." "Readers will root for Emily.... A thoroughly enjoyable book with a terrific romantic subplot and an ending that ties up the loose ends believably and satisfyingly." Morgan Matson "creates a time-and-space experience for teens that might actually interrupt their social media convos until they’re finished reading." "Matson writes with humor and the rare ability to outline a character in a few, well-chosen words.... This engaging story is a solid choice for both school and public libraries." "We fell crazy in love with these characters." 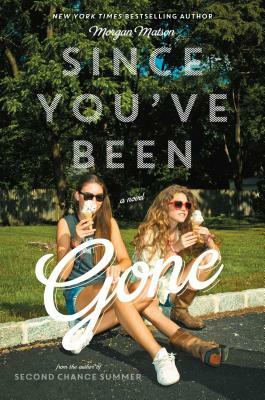 "After reading Since You’ve Been Gone, I’m placing Morgan Matson on my list of Authors Whose Books I’ll Always Read."